A group of DHS students were given a first hand look at studying medicine at the Northern Ontario School of Medicine on Thursday. Kristie Skunta and Marlon Hagerty are third year NOSM medical students from Thunder Bay that are spending 8 months in Dryden learning about community health at the hospital and clinic. Their presentation touched on aspects of studying medicine and discussed their own personal pathways to medical school. 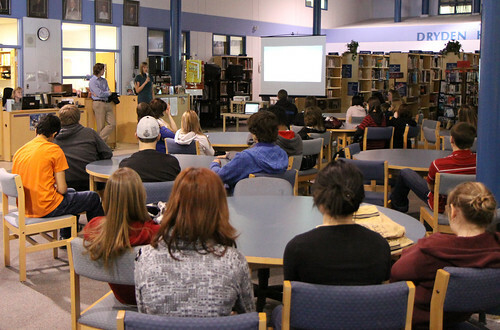 Thanks to the presenters for sharing their knowledge with DHS students!